Mostly I shy away from anything McQueen, since I'm not a big fan of skulls.. 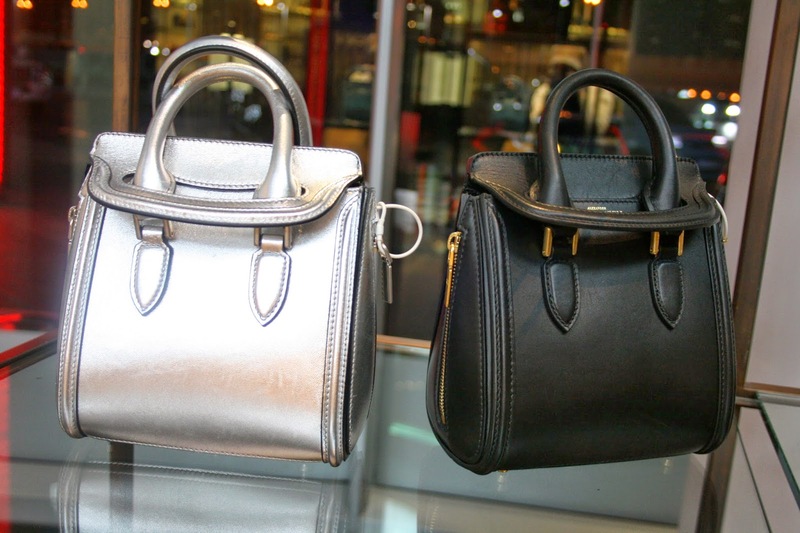 But I'll put my hesitance aside for this, I've been eyeing Mini Heroine Satchels by McQueen for quite a while.. So while I was browsing Bloomingdales in Dubai Mall, I took a closer look into this handbag.. Constructed handbag, with un-usual innovative design featuring two zips on the side and a flap top that securely closes over the handle.. The mini size is quite practical featuring a long detachable strap to wear as a cross-body bag.. I've been drumming the same tune for a while, and I'm guessing you are already aware that I'm looking for a yellow and a purple bag .. So I'll keep my eyes peeled perhaps they'll release those two colours I have in mind even thought I quite loved the matte python featured in the first picture . 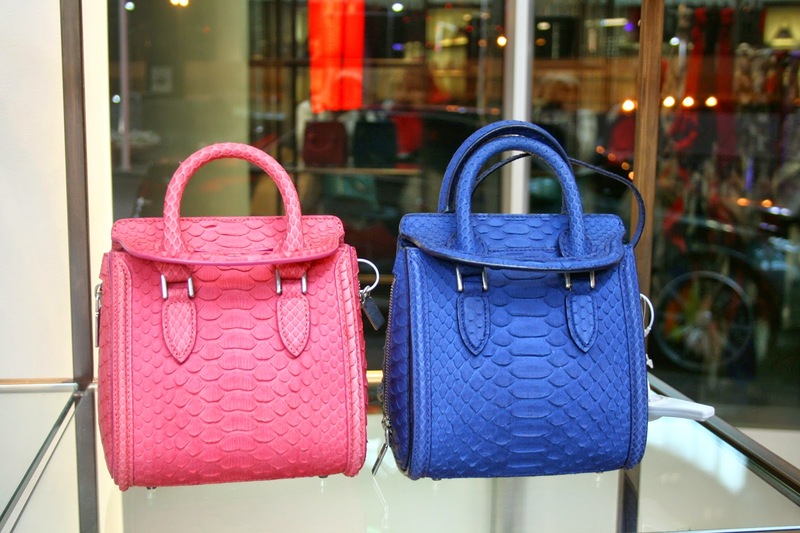 The colour is quite vibrant in real and would a fresh kick to any outfit, I'm guessing a lot of girls would be adding Heroine to this season's handbags..